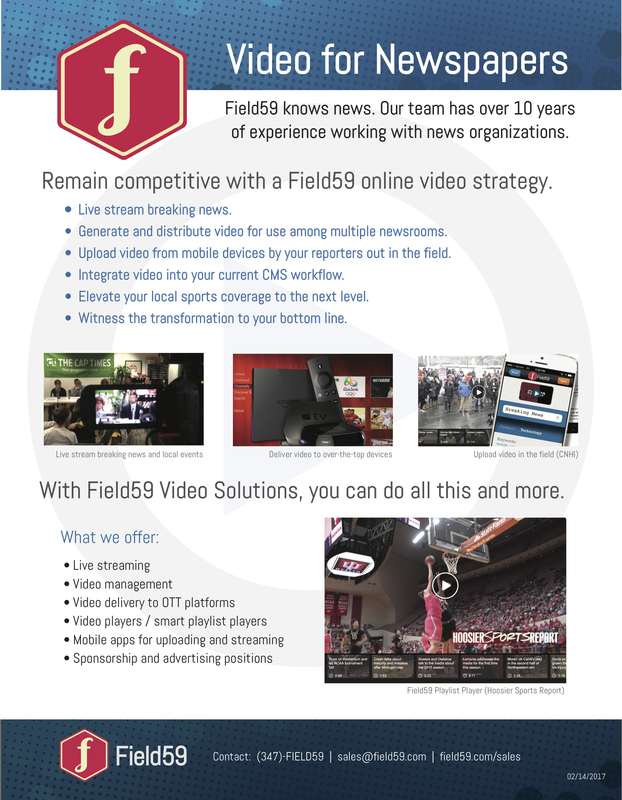 Here’s the latest new developments from the Field59 team! Previously, Field59 accounts could only publish a video to a single YouTube account. We have completely reworked this functionality to now allow for authenticating multiple YouTube accounts under a single Field59 account. If you manage multiple YouTube channels/brands, you can now publish videos to each from the same single Field59 account. Please see the Publishing Videos to YouTube article in our Knowledge Base to learn more. Field59 now supports the ability to multicast your live stream on YouTube as well as any platform on which you are currently streaming through Field59. Please see our newest Knowledge Base article, How to stream to YouTube Live, for full details on what you need to send to Field59 from your YouTube account to enable this. Visible Start: A new sub-setting of Auto Play. When Visible Start is selected, the Auto Play video will only start when the player is visible in the viewer’s browser window. Please see our Creating Custom Players article to read about our available player configurations. Analytics: We’ve added a new video_avgviewed metric. This records how long a user watches a video. When looking at the average value of this metric, it provides a snapshot of how long average viewers are watching videos. This metric is available for HTML5 players only. Please see our Using Google Analytics for video metric tracking article to learn more about Field59 video player analytics. Previously, all users had the ability to delete items from the Field59 manager. Now, superusers can determine whether account users should have the ability to delete items from accounts the user has access to. Please see our article How to create users to learn how superusers can configure this.